Mewsix: This isn't necessarily a topic for getting help on your Pokemon; that's what the rating centers are for. Anyway, commenting on it in general, I'd say that Shell Bell wouldn't be very good there because you already have Recover and a good HP stat. Leftovers or Lum would work. The Ditto thing is real as far as I know, but it only passes along egg moves and TMs that the baby can learn. It's just a new breeding addition apparently. Gnaaye: Use of the movesets on another site depends on the circumstances. As long as you don't copy the entire thing or a big portion, it should be fine as long as you give credit. If it's just for discussion or something similar, I don't mind it at all. Either way, at least say where you got them. I'd like to know which Lucario you would recommend: The physical, special, or mixed. Technically, it depends on how it would fit in your team. In just a plain comparison however, I guess I'd say physical then mixed then special. It's all quite close though with the stats and movepool. I would say special because with CM, Aura Sphere, Shadow ball and Dragon pulse it's really powerful. My team would actually have many Physical sweepers so I guess Special. Thanks. That variation has already been acknowledged in its standard. Or if you were looking for advice, it looks fine to me but could use a form of health recovery. On the Arcanine sets, why do you choose intimidate over flash fire? Intimidate requires multiple switch in's to really make use of where as switching in on a fire move, while requiring some prediction, leads to a better bonus, imo. Just curious what your reasons were. I guess I must have skipped over Flash Fire somehow. So, yes, the free switch in can be used more effectively than the lowered attack in some situtaions. I left a /Intimidate on the special set as Arcanine could use either ability to possibly set up with Agility, and a Fire boost isn't needed as significantly when it's actually a good Fire attack. This is not true. I recieve a Zigzagoon with Extremespeed in a trade from Box. When it evolved into Linoone, it went from Pickup to Gluttony. It's possible to have a Linoone with Extremespeed and Gluttony, since abilities are probably assigned in a similar nature as gender, and as the case of Azuril to Maril, your pokémon can change gender because the value that is set for the gender/ability falls in a different range with it evolves. Yeah, that's really hard to explain without drawing a picture. That makes sense. When I was making these movesets, what would actually happen in that case was still questionable. Either way, thanks. Thank you very much for all of this usefull information!!!!!!!! The addition of the Sinnoh pokemon is wonderful. 6 HP / 252 Spd. / 252 SA OR Def. - Here are some sets I came up with. I'll come up with more soon if needed. 252 HP / 252 Atk. / 6 Def. This is the set I would prefer, but yours was pretty good. Oh, I have some more ideal sets. - A physical wall, special wall, special sweeper, paralyzer, and healer. - Speed & Defense passer. - Physical sweeper and possible healer. - Special & Physical wall. 6 HP / 252 Atk. / 252 Spd. - Choice Band Blaziken, an alternative to Infernape. - Metal Burster & Rester. - I'll post more ideal sets later. would actually give you more mileage than messing around with Brick Break, Rash's liability notwithstanding? Yes, as usual with me it's partly an accuracy issue for me but the nature of dragon attacks not being resisted by anything are the only reason I would even think of suggesting two same-type (where "type" now also refers to physical/special) attacking moves on a pokemon. I think after spamming MS the first few times you bring Mence in, like you should, an AGed Dragon Pulse will pack enough punch to let you sweep the remaining 2-3 (or 4) pokes, killing poke 1 but also being able to rely on it for the next poke, both from a power issue (90 vs ~70 [i know it's not the attack's base power you halve but ~70 is accurate enough]) and the accuracy issue in general. Plus PP, like if you hit Suicune/Yonowaaru with MS a few times you may be hurting in that regard. Oh, and I say "not resisted by anything" and mean it because, on CB and AG sets (which are strategically packaged to have no real counters) it doesn't matter if they switch in the one type in Steel that resists Dragon because, by the naturing of being locked into an attack, you both "should have predicted" the steel type coming in and used FT/HP and you know you're switching out if you don't do loads of damage with MS, and staying in if you do, like in the case of Skarmory. I can't get over how filthy MS is: for perspective Fire Blast was a 2HKO in advance on the CB set unless you EVed the hell out of your hindered nature, and MS is a 2HKO in DP unless you do minimum damage to a 100% Skarmory both times...and MS boasts better accuracy than FB by 5% to boot. This set shows you right off the bat why you would use Tangrowth and not Celebi: Sleep Powder, Knock Off and Power Whip. Sleep Powder is nothing new for our strangled fellow: use it if you predict your opponent switching into something Tangrowth or your team can't handle and three times out of four it will be put out of commission until Blissey comes out to Aromatherapy it again. Knock Off is new to this line and is a very handy move. If aforementioned Salamence wishes to come in with his quadruple Grass resistance? Knock Off his item will not only disable him from using it, but it will also pretty much reveal whether it's a Specsmence, a Choice Bander, a Dragon Dancer or a Life Orber. After you Knock Off one Pokemon your opponent will probably keep switching that in to prevent more item loss. Feel free to predict so and switch in a counter at the same time, or Leech Seeding it in the switch to wear it down. Leech Seed will generally support Tangrowth's tanking ability and help out your team as well, so use it whenever you see fit. You'll find this EV set-up ideal to take on physical threats. Just to show you how sturdy Tangrowth is: a Gyarados with 350 Attack and one Dragon Dance doesn't even 3HKO Tangrowth with Leftovers factored in. In the meantime, Tangrowth will deal about 40% back with Power Whip, making him a pretty neat Gyarados counter. Your Salamence set was already posted, but your Tangrowth set is interesting. I also have a set for Tangrowth. Although Empoleon does have a great Special Attack stat, it lacks in the move area. 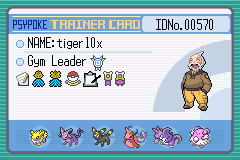 Its best moves there include Surf, Ice Beam and Flash Cannon, which doesn't yield much type coverage. There's also Hidden Power, but relying on it for the set isn't favorable to the general population. And after that, the next best moves include Grass Knot, which depends on weight, Mud Slap and Snore, which stand for themselves. Add all this to relatively low speed, and you don't have much. Also, I see no reason to use Grass Knot in general unless you absolutely expect something like Groudon or Kyogre. This being said, I won't (and didn't) include it on many sets. Roserade: That looks interesting. Maybe instead of it being a standard however, it could be checked out later in the Creative Movesets topic. You won't have to post there though, I can add it to the test list on my own. Jirachi: Looks good. I'll add in something with that idea. Latios: I'll add a few /'s to its and Latias' movesets. Salamence: For some reason, I'm missing a mixed sweeping set, so I'll have to put one like that in. Rhyperior: It has better moves to be used than just the Fang attacks and Earthquake. Slowbro: I'll add a few /'s again. Blastoise: Looks like another thing I must have skipped over while making the movesets. I'll probably have to add another set for this idea. Articuno: I'll edit the first set a little. Scizor: Looks somewhat like the existing set. Roost would be a good addition though. Lugia: I'll add a similar set. Blaziken: A slight Choice Band edit to the current set should work. Bastiodon: It doesn't have much HP to use Metal Burst to a great extent, but I could add a set like that. Salamence: I already have a special set. 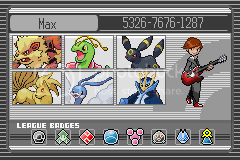 Tangrowth: Looks reasonable enough to add one like that (TrunksSSJ23's). Anyway, thanks for all this input. It really helps me see what I've missed when making the movesets. I should be able to edit most of these movesets soon. Also, I'm planning to overview my own work in a month or two, specifically adding and editing more sets with better details. Aight, great. Glad I could help. I will also be adding a few more movesets within the next couple of days. For Togekiss, did you consider the Hustle ability at all? 50% increase in power for a reduction to 80% accuracy may be a trade-off, but factor in the numerous accuracy/evasion ignoring attacks that Togekiss has access to and it becomes a much better deal. Aura Sphere alone will be doing 135 base power at its usual 100% accuracy. Togekiss also has Magical Leaf, Shock Wave, and Swift, all special attacks and guaranteed to hit. Granted, these attacks are 60 base power, but after the 50% increase to improve to 90 base power, with Swift in particular improving to 135 base power after STAB. Aura Sphere, Swift, and Shockwave combined with Nasty Plot and the Hustle ability make up a Special Sweeper with higher damaging attacks than the build you listed, the downside of which is somewhat diminished coverage; only 3 pokemon resist all three of these attacks: 1 Uber and 2 NU. Almost all things above have been taken care of. Also, Hustle only affects physical things. The idea can still be used, but unfortunately not as well. I'll probably look into that later. Are you positive only physical attacks are affected? The wording is "Attacks cause 50% more damage...", which led me to believe all damage dealing moves were affected, physical and special. I assumed if it meant physical attacks specifically, the wording would be "Physical attacks cause 50% more damage.." or "Attack Power is increased by 50%..". edit: checked the description in game, it does indeed specify the attack stat. The description on the site should probably be changed to that. Also, for your Starmie special sweeper set, you listed Jolly/Modest as natures. I assume you meant Timid/Modest? Be honest with me here please, where did you get this moveset from? I typed this moveset out with the EXACT same discription and slashes, moves and lay-out on my PC and posted it on GameFAQs several times (my username there is Fantasty as well). It is obvious you copied this from me when noticing it there, because there is no chance in hell anyone could make a moveset with the EXACT same layout, discription etc as someone else's. I just wanted to ask you this, where did you get this from? Those sets are copied directly from smogon as well. Otherwise, how could you say in the Salamence discription: "as usual with me", while that was your first post on this board? Excuse me for invading this site so suddenly and all, but I really think the people who deserve credit for those movesets should be given that credit. Blatently copying and pasting them here is disrespectfull to their original creators.